>I can't believe that 100s of people returned a 2-in-1 device with a touchscreen because the touchpad is not full-featured like on a notebook without a touch screen. Why is that so hard to believe? The vast majority of notebooks *do* have touchscreens nowadays, I fail to see how this additional functionality translates in any way to "people should be OK with crippling something else." We don't see cars with less-functional accelerator pedals just because they have Cruise Control, do we? Receivers don't ship with broken RCA inputs just because we now have HDMI? Laptops with USB3 don't lack the ability to work properly with USB1 devices? It shouldn't be strange that people wouldn't suddenly be OK with crippled touchpads, now that there are touchscreens. They're two different input devices for two separate scenarios, one is not a replacement for the other. >If you want a keyboard centric device why don't you buy one of the Ultranotebooks with a clamshell design? These Surface-style 2-in-1's are often touted as a single device that can replace either a notebook or a tablet. 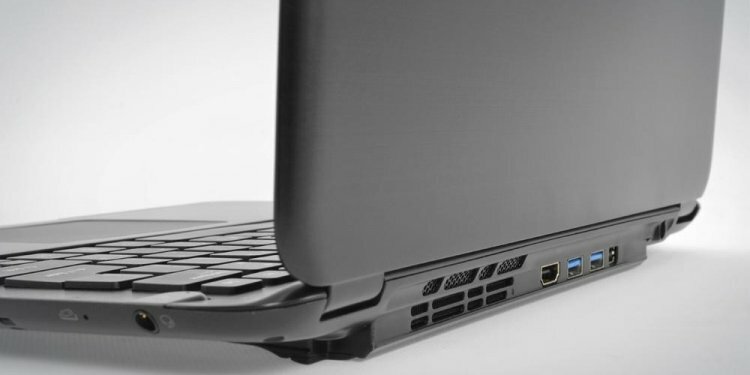 This one in particular has an i3-i7 chip - and a range of specs to exactly match a full laptop. I don't see how "thin, removable keyboard formfactor" would have any relationship whatsoever with "...means the touchpad should be non-configurable." Yes, I understand that it has a somewhat thinner, more flexible keyboard than a clamshell - but as I'm aware, no company has ever said "if your preference is towards a notebook-like experience rather than tablet, don't buy this device." Instead, they say "this is the device that can do both!" It makes absolutely zero sense to me that the choice would be "enjoy this formfactor, but we won't bother completing the touchpad, " or "if you want a properly functional touchpad, you don't get to enjoy this formfactor." This physical system design does not preclude them from supplying the software drivers necessary to properly use that system. How to go to router settings? In order to correctly configure the router, you need to use its interface. Many users don't even know how to get into the interface. For example, router D-Link Dir-300 is one of the most common models on the market. But it is actually not so important, from what company is your router, whether it's TP Link, ASUS, Zyxel, MSI or any other. They all work on the same algorithm, and therefore, the differences in procedure are minimal. Everything that you have to know is remembering data “192.168.1.1 - 192.168.1.1 Admin Login” and having access to the Internet.